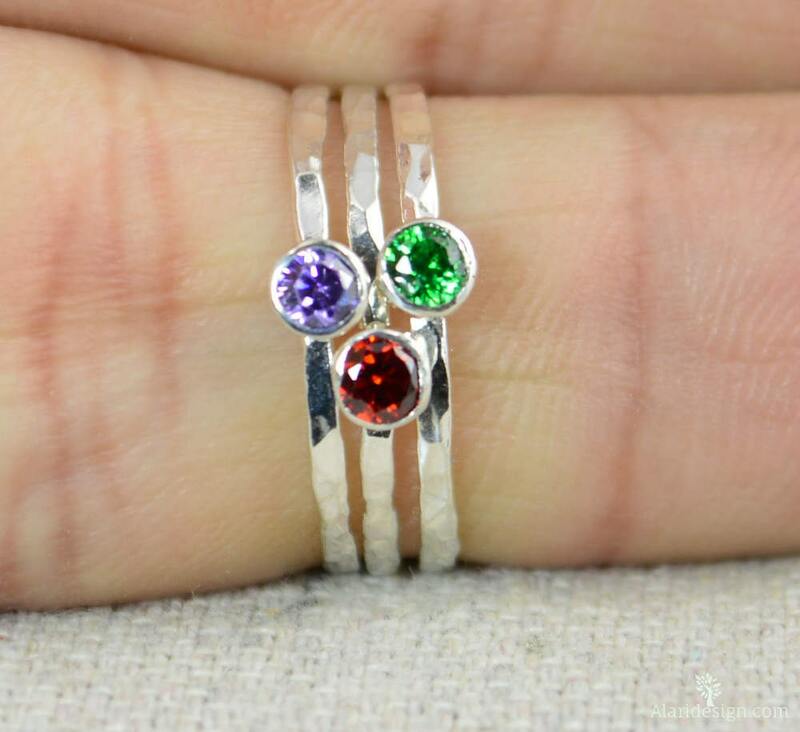 These dainty mother's rings are perfect for a flash of silver and color on the hand, without being to "much." 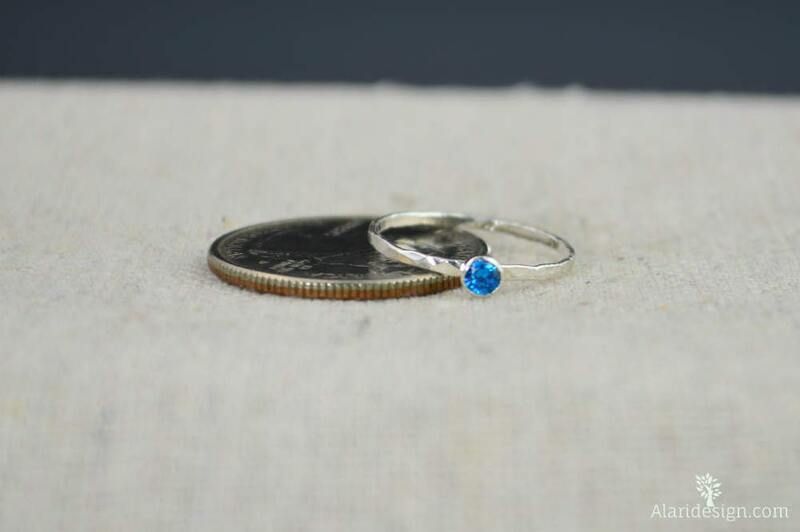 These skinny rings are created with tiny conflict free cubic zirconia gemstones. 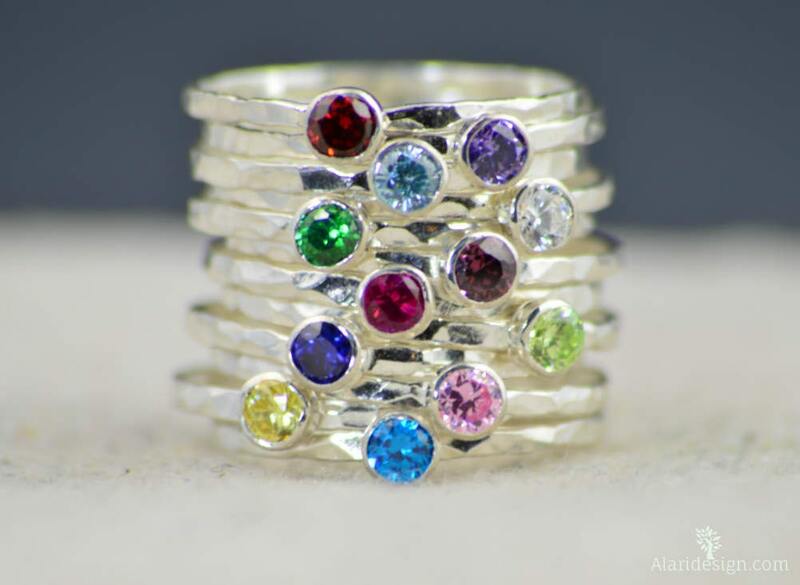 These rings are beautifully worn alone or worn together in clusters. 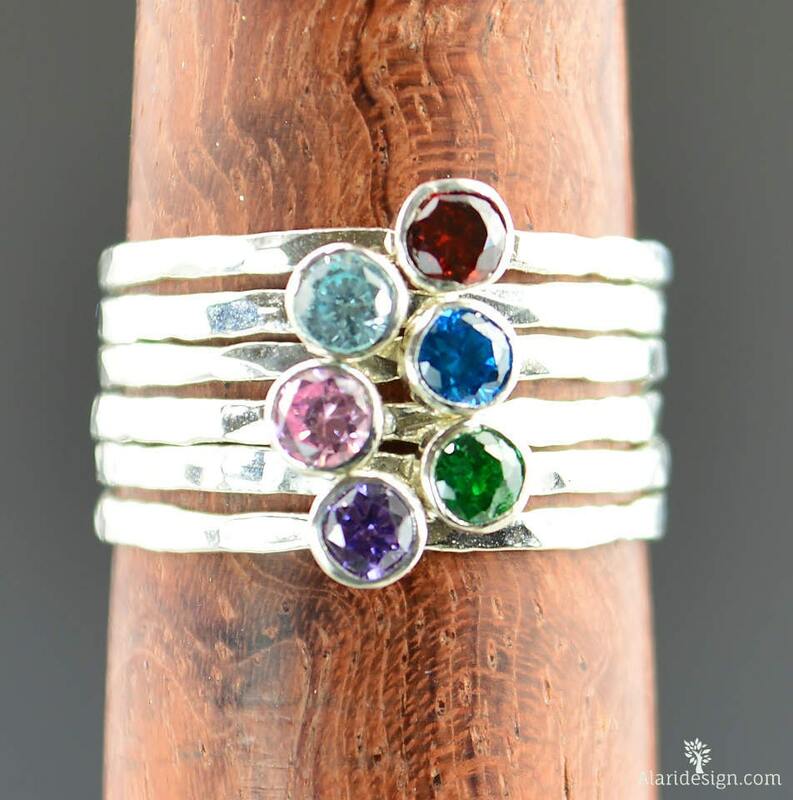 These mother's rings make a beautiful gift for mom or grandmother! 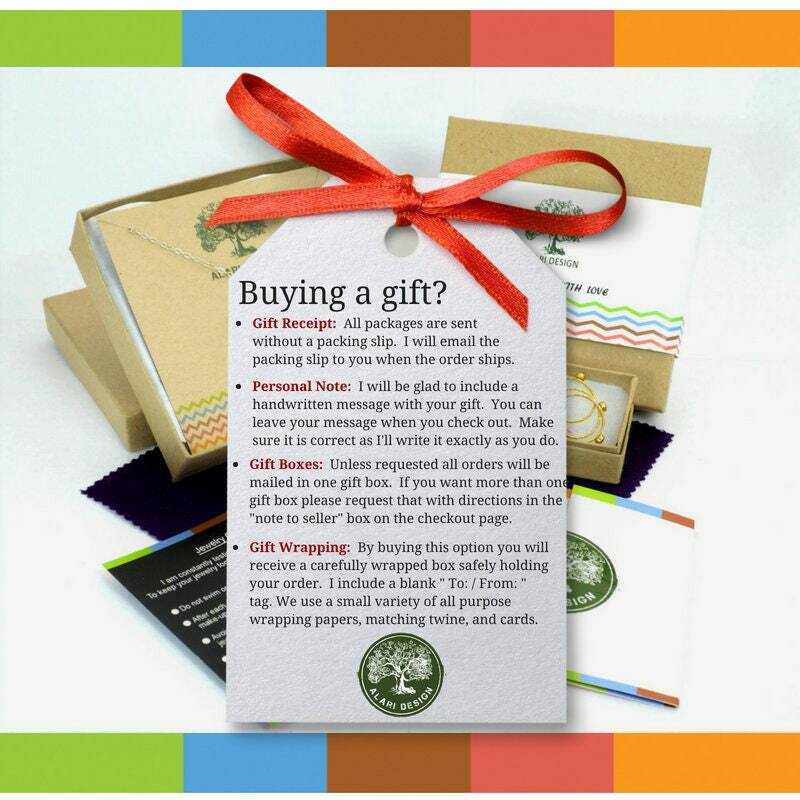 By getting a separate ring for each child each ring becomes extremely sentimental! Every time she wears this set she will smile! • Each ring is about 1.25mm wide and .75mm thick. • They are light as they weigh about half a gram. • Three rings together will be just less than 1/4 of an inch wide. 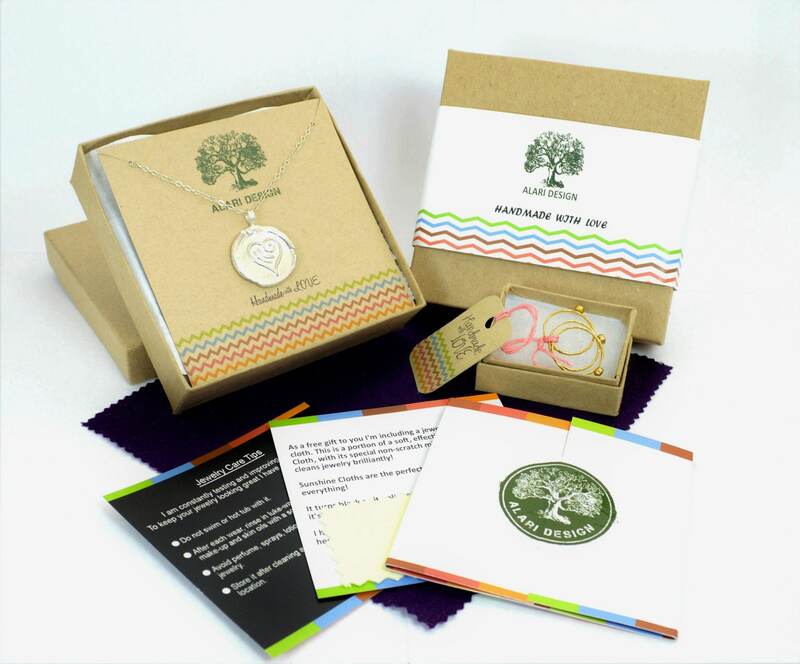 Beautiful jewelry with lifetime warranty and resizing. Shipped on time. Great service, quick response time, and was able to customize my order. These little beauties were perfect came nicely wrapped today :) Turn around was quick and they look fantastic. Mike helped a ton with all my questions and I'm so glad how they turned out! They are very pretty! Love them!